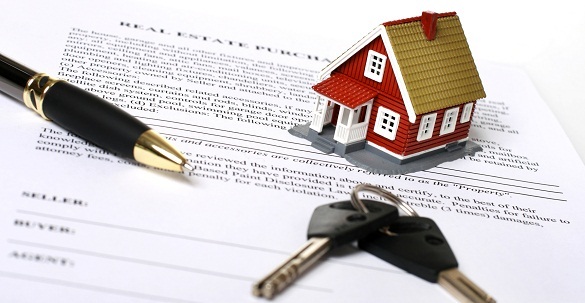 When is it the right time to sell your investment property? Often, my investor clients ask, “when it is the right time to sell”? My usual response is to advise against selling an investment property as the investor would need to pay capital gains tax. As opposed to selling the property outright, I suggest re-financing every 3-5 years to take out the equity to re-invest into other properties or to repay loans and lines of credit. 1. When the property unit is in a condominium older than 15 years – in BC, the strata corporations rarely charge enough condo fees resulting in special assessments; these assessments are usually major projects such as building envelopes, exterior painting, roof replacements etc. More often than not, these assessments will eat into your profits. Therefore, I advise that when your condo reaches its 10-year mark, to renew the mortgage with a variable rate where the penalty for breaking the terms is just 3 months’ worth of interest as opposed to a fixed term with hefty penalties. I’ve had to break a fixed 5-year mortgage with one of the Big Five Banks where the penalty was $24,000 – thankfully though, I bought a new property and was able to transfer that mortgage with the penalty being waived. Bottom point: I would sell when the condo is between 10-15 years old. 2. When the property is located in an area where population or job growth is declining. As investors, it is important to realize that the future of our real estate’s return on investment is highly dependent on the growth of jobs and population in the located area. As that thrives, the more valuable the property becomes. Comparatively, when the opposite happens, real estate prices decrease. It is wise to sell the property before we hear of a continued amount of job decreases and people moving away from the area in search of new occupations. That said, it is vital to remain up-to-date with the market(s) we’re investing in, and to really talk to the locals who live in that area and to sell before market downturns. 3. When you make over a 75% ROI (return on investment). 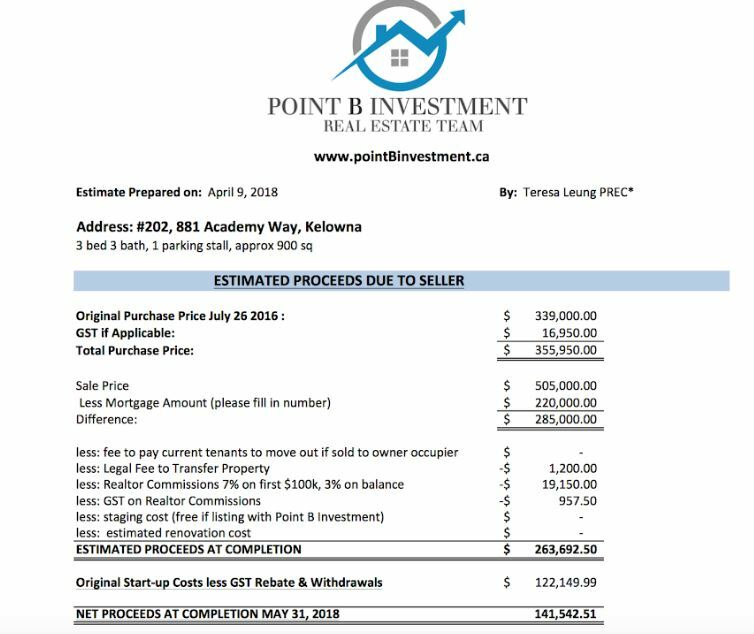 For example, in July 2016, nearly two years ago, I purchased a 3 Bedroom condo for $339,000 plus GST. It is located in the U-District of Kelowna, a five-minute walk across the Okanagan campus of the University of British Columbia. My initial cost for the property was $122,000 – which included my down payment, closing fees, and furnishings. Fast forward 22 months later, I sold the property for $505,000 (furniture included); the profit I received was $141,542 after paying off the mortgage, realtor fees, and closing costs – in other words, I made a 116% ROI all within this time span. It was a tough decision as my cash-flow was over $400/mth during the school year and up to $3000/mth during summertime. 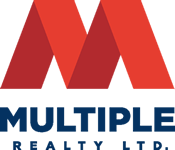 However, as great of an investment it was, I sold the property because I knew of more student rentals being built in the area, with many pending completion in one to two years from now. I also knew of the BC Government’s plan to create 5000 student rentals across BC, announced in the 2018 budget plan where they will dedicate increased spending on. Simply put, that meant more competition for student tenants, inevitably leading to me having to reduce my rental rates to compete and so I chose to exit the U-District area while it is still opportune. As previously mentioned, it is essential to educate ourselves on the local market and upcoming changes that may affect real estate investment prices. It especially is useful when you also follow the 75% ROI Rule.